This makes me wonder whether the axle shape here actually allows for a connection or was only chosen for stability, production reasons, or similar. With other words, is there any piece (or combination of pieces) that connects a Technic axle “sideways”, i.e., without going over the ends? It probably would not connect very well, only the clips on the sides of the socket would hold it, so it would probably slide easily, or pop of with little effort, but it could be attached. This doesn’t hold in all directions, however. 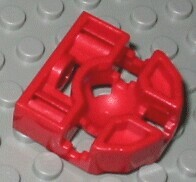 This part (Technic, Link 1 x 16 #2637) appears to be an axle with two connectors on each end. 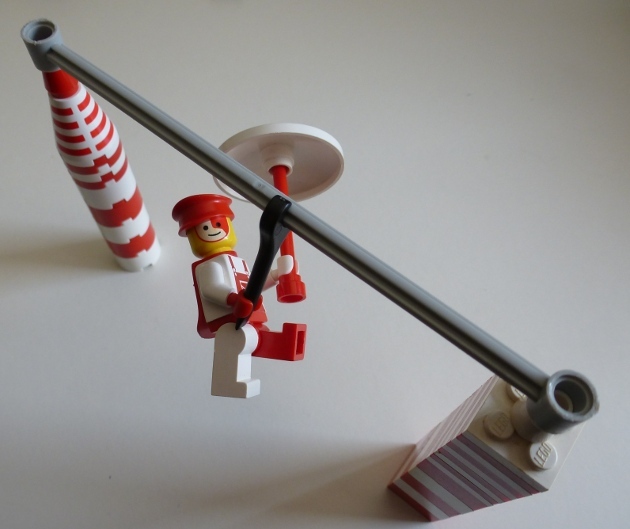 Bricklink classifies this piece as a Technic Link and not an axle because it doesn't perform most of the same functions as an axle. I believe the decision to use the Technic 'axle' shape for the length of the piece rather than a round piece, is because it functions more like an axle than a pin. Pins connect bricks together and are two to three bricks long. Axles can be much longer, one of which is the same length as this piece. Of the 23 sets this part appears in there aren't any sets in which bricks have been attached to the axle part of the piece, nor does there to be any obvious way to do so. Not the answer you're looking for? Browse other questions tagged technic piece-information connections or ask your own question. Why 2M Cross Axle has Groove? What is the difference between these hole shapes? What part(s) can I use to connect technic liftarms with modules?